Breathe in fresh mountain air and savor all that nature has to offer in northwest Montana. Plan your Montana vacation at the Montana Lake Getaway, the ideal setting for a romantic mountain getaway, honeymoon, or weekend retreat. Take home memories that will last and bring you back. 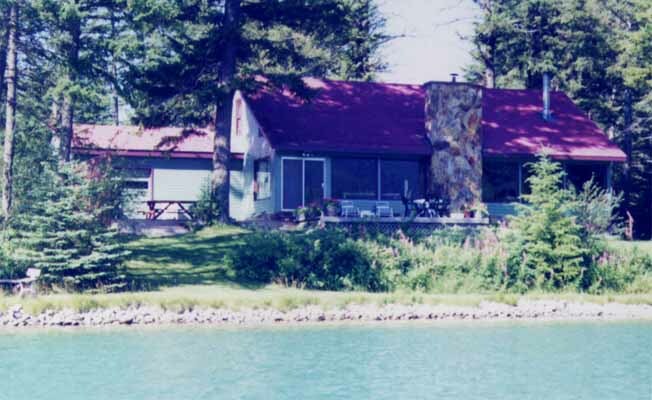 The Montana Lake Getaway vacation rental home has a 160 acres, crystal clear, spring fed lake, including lake trout, in the front yard! One of the finest Montana lakes you will ever swim in! The two story vacation home accommodates 10 people, with 3 bedrooms (each with queen beds) and a bunk room with 4 captain beds, and two bathrooms. Large front room with panoramic mountain view.